Follow the rules below in order to provide smooth rides at Chicago's busiest locations: Navy Pier, McCormick Place, and Soldier Field. You may pick up and drop off passengers at the Navy Pier. You may not wait for requests on Navy Pier property. Pick up passengers from the designated Lyft loading areas — look out for the Rideshare/Lyft signs. Upon arrival, be sure to follow the instructions of the Authorized Personnel to drop off passengers in the proper loading areas. You may pick up and drop off passengers at McCormick Place. You may not wait for requests on McCormick Place property. 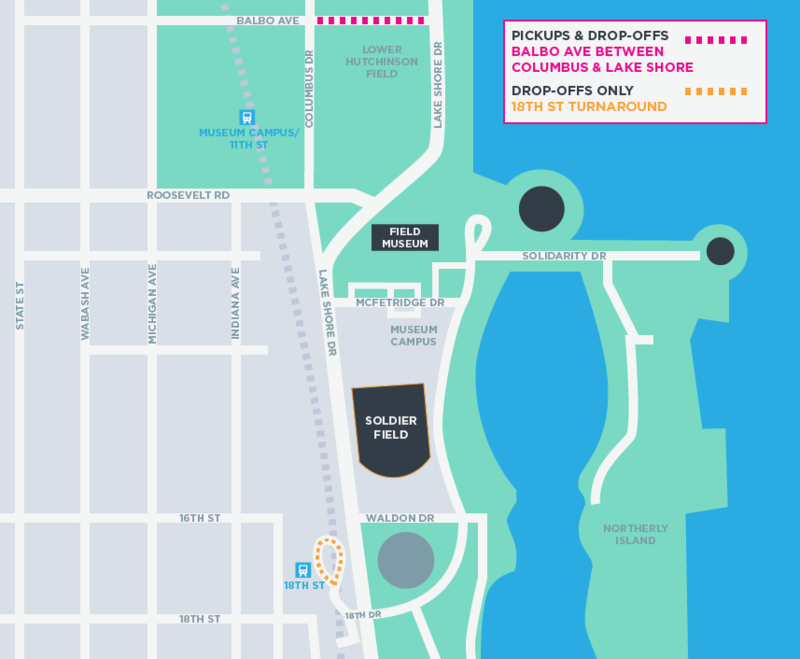 You may pick up and drop off passengers at the following designated areas near Soldier Field. You may not wait for requests on Soldier Field property or stop on Lake Shore Drive. Pick up passengers on Balbo between Columbus and Lake Shore Drive. If you’ve been approved to drive, you should receive a hard copy version of your Lyft emblem within a couple weeks. Didn't receive one? Let us know and we'll look into it. In the meantime, you can print a temporary emblem.